Ensuite bathroom decor is the main subject being discussed in our house at the moment. Our ensuite is in pieces, mainly because I took a hammer to the tiles. Having lived with them for over 14 years I had finally had enough, they had to go! Weeks later the room is in need of some major re-decorating attention. I am hoping that when Marc reads this (he always does) he will take note and we can make plans to start! Meanwhile I am compiling lists, here is my first wishlist. I am presently planning a White with pops of Olive green colour scheme. Interspersed with natural wood shelves and plants. 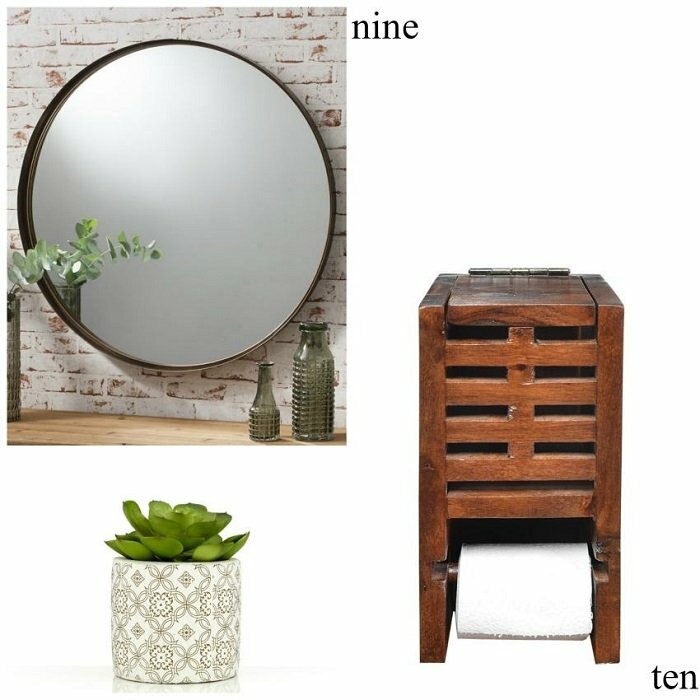 Here are a few ensuite bathroom decor items I have chosen from Wayfair, all useful and all reasonable prices. A must have in any bathroom, a large illuminated mirror, for makeup and shaving. This one also has a demister pad. Being round it will dominate or overshadow the rest of the decor. 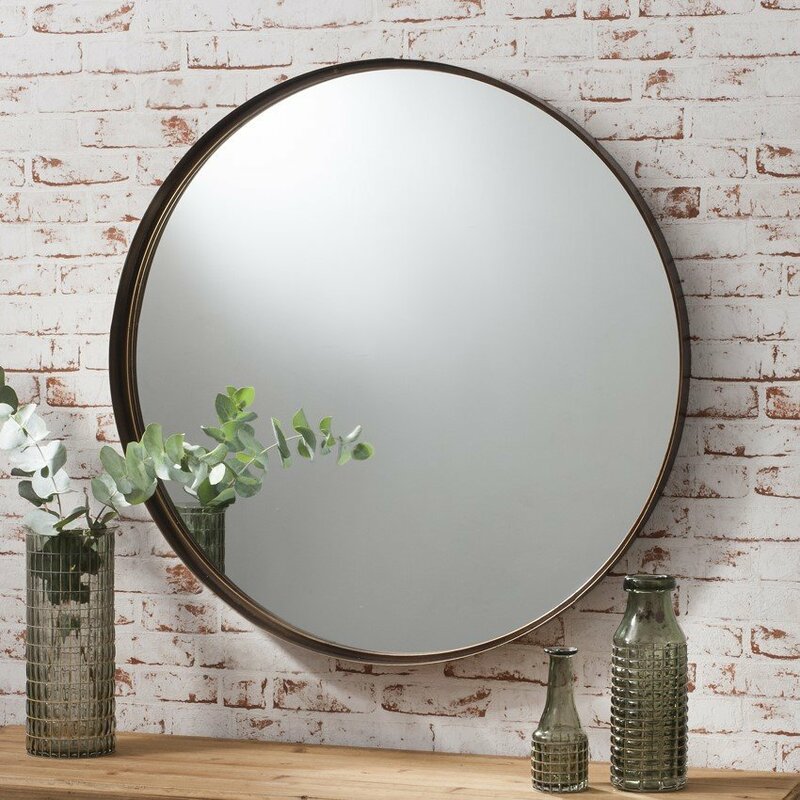 The simple shape and clean lines of this mirror, would make a small room brighter and is therefore a simple solution to making it appear bigger. I would hang this facing a window (if there is room) to reflect the natural light. Real plants can be a challenge to keep alive in a steamy warm place, so why not choose a couple of faux ones and mix them in with the decor for a ‘rainforest /jungle’ vibe? FIVE: Faux Eucalyptus Plant in a Pot by wild Home. The eucalyptus plant will look super hanging from a shelf in the bathroom, when it gets dusty just take it in the shower with you and rinse it off! The perfect set to add more greenery to your shelves. You can arrange them to sit with your fragrances for a pretty display. THREE: Abigail Acacia Indoor bath mat by Brambly Cottage. To continue my with my natural bathroom decor theme, this acacia wood bath mat would be my first choice for a bath mat and it would sit perfectly with the faux greenery. this mat is beautiful and useful, win win! 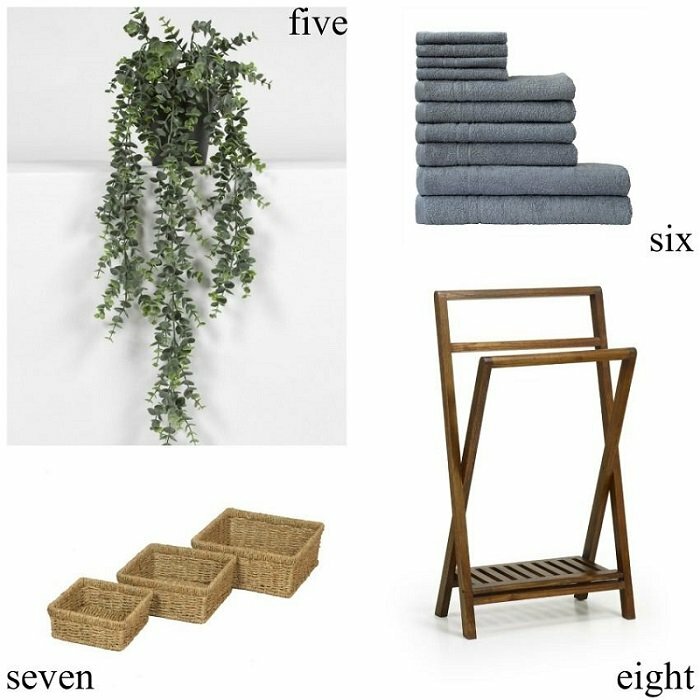 SIX: 10 Piece towel set in anthrazit by Wayfair basics. This towel set is brilliant value. It is cotton and the towels have hanger loops at both ends, so useful. I have chosen a set in anthrazit a dark charcoal grey and I would mix this with another set in white. 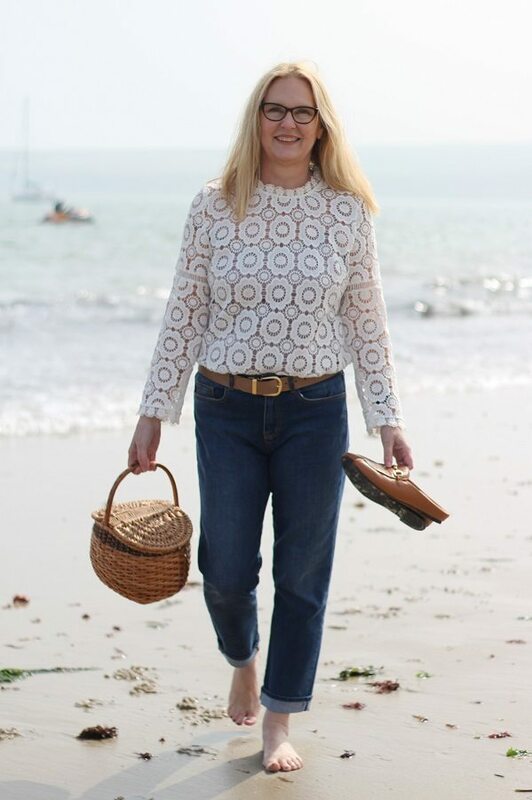 A perfect storage solution for makeup and skincare products, made from seagrass so again in keeping with the natural theme. A throwback to my childhood! I will always have a nostalgic soft spot for a whicker ‘Ali baba style’ laundry basket and this one is a beauty. I like this one because of the colour of the wood and because it holds a spare, a bonus when you are the only one in the house that changes the rolls! A unique and unusual style, the fact that it can be folded is also useful. I like the colour of the wood and because its not wall mounted you can move it around. If a towel rail can be considered as stylish bathroom decor, then this is the one for me. 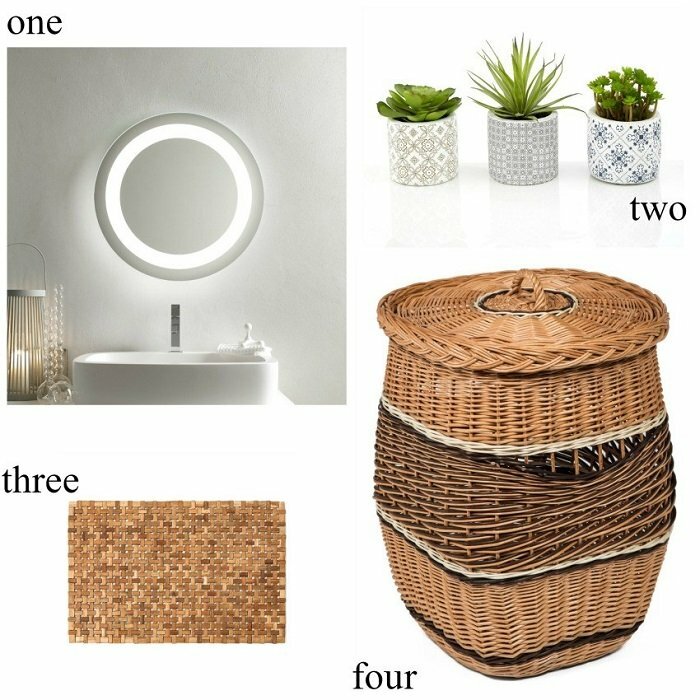 Popping all these lovely bathroom decor items on my Santa List! THANKING YOU IN ADVANCE BECAUSE EVERY VOTE COUNTS RIGHT? Fri, 16th: When Your Fantasy Advent Calendar Becomes a Reality! Loving that mirror! Our bedroom and ensuite is next on the list for early 2019. It’s part of what seems like our never ending renovations in our house. We’ve been here 3 years and still quite a lot to do. Thank you my friend you have mine too! As I well know renovations take time and money I think you are doing very well! I loved this post as we have just finished decorating our bathroom. You have given me some ideas. We have added another radiator, as there was insufficient heat and my poor hubby couldn’t stand the thought of another winter in there. I’m not keen on the mess when all these changes are taking place! Bet there was some mess in your bathroom, when you took a hammer to those tiles! That made me laugh! I’ve put my votes in for you. Good luck!! 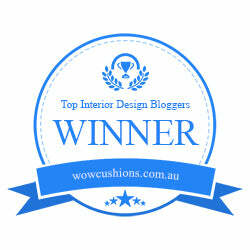 Alison thank you sooooo much for the votes!